Santos Ltd. is a major Australian oil and gas exploration and production company with interests and operations in every Australian petroleum province as well as the United States, Indonesia, Papua New Guinea and Egypt. Santos Ltd. is one of Australias top 50 companies. 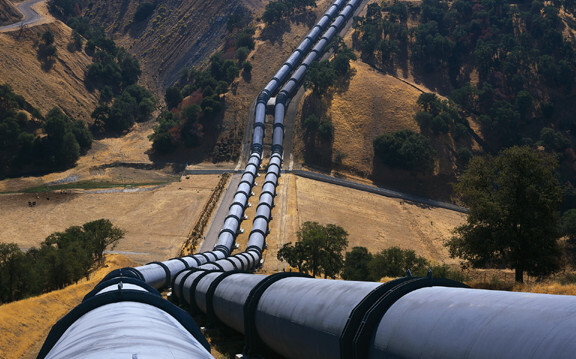 For the 800 km long Jackson to Moonie and the 307 km long Moonie to Brisbane pipelines in Queensland, the company was having operational problems that were compounded by an old and unreliable radio telemetry communication system. Various satellite based solutions (shared HUB) offering either leased line or internet connectivity to the Santos terminal in Brisbane were considered. In terms of system security, availability, system latency and recurring communications cost, none of the alternatives could match that of TSAT. Our local partner, Australian Satellite Services, took responsibility for deployment of the solution. The network has been configured with a load-sharing/redundant HUB that is connected to a Citect SCADA system from Parasyn, and with 26 remote terminals connected to Kingfisher RTU’s. Most of the sites are running on solar power. With the new communications solution in place, Santos has now gained greater control over their pipeline operation, with less downtime, risk of spills and lower operating cost.